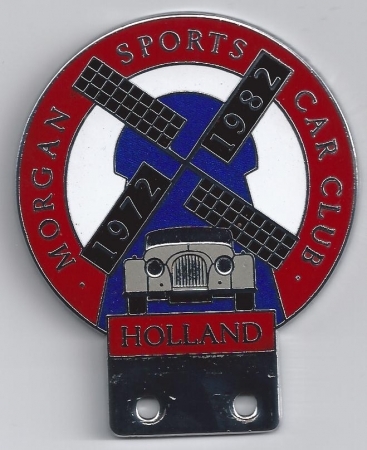 One of the most sought after Morgan badges nowadays is the "windmill" badge, produced by the Morgan Sports Car Club Holland for its 10th anniversary. As badge collecting was not such a hype then, solely 100 were made. It now is a pure collectors item and they rare come available. An image is provided here. Very attractive badge - thanks for showing it. I wonder if they can make a die from a simple web picture. Yet, only the badges with the original manufacturer's stamp are worth the money. Many Morgan badges nowadays DO come from China, though. For me they have less charm than those made in England.